Outfit of the night post of what I wore to my interview with the charismatic David Reiss, owner of British fashion brand Reiss, at the Meydan Beach Club along JBR. I then skipped along, with no outfit change, to the Ahlan Hot100 party at the Wardorf Astoria on the Palm Jumeirah. 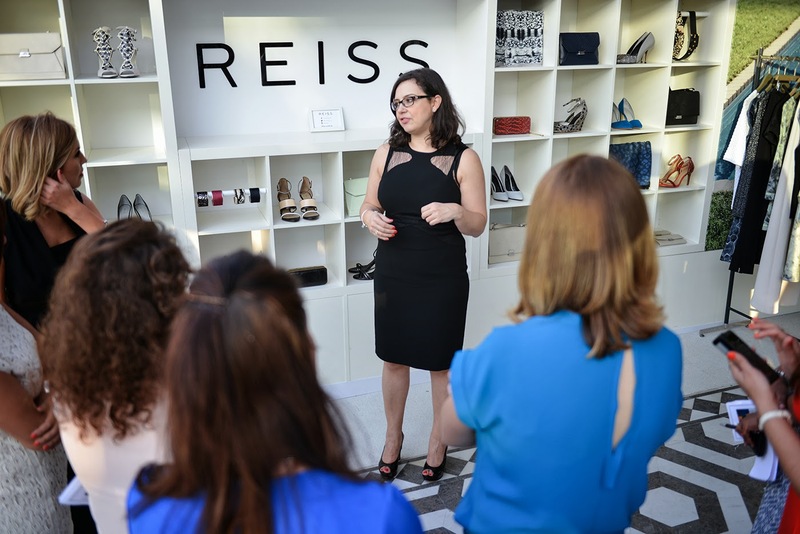 As if I really need to say, my outfit was picked from Reiss. On the hanger I wasn't too keen on the piece as I thought it looked a bit 80s with the capped sleeve shoulders and lace busk, but I decided to try it on as I wanted to wear something long and quite classical. This jump suit fitted like a glove, well a leather glove that you have to wriggle your fingers into, but you get my point. 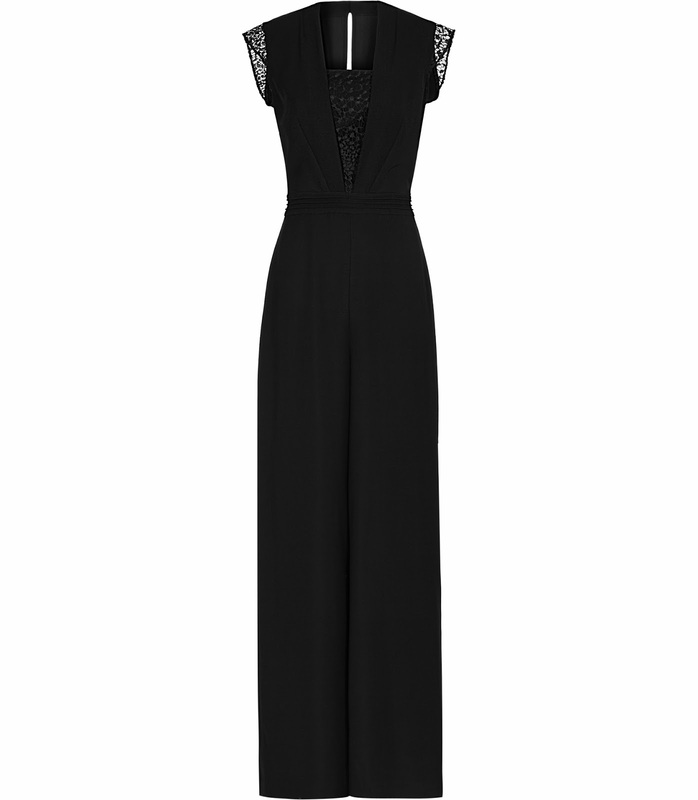 Since the quality of material that Reiss designers use is so high, the fitting and fit is snug, but flattering. I really loved this jumpsuit and happy I decided to try it on, I am a product of the 1980s after all so I'm not sure why I was hesitant about getting in my age lane. The Chanel lipstick was an impulse by in Sephora last week, the shade is La Malicieuse which is a really pretty pinky red. It goes on really nicely and is very moisturizing, which is great for me as I tend to get really dry lips. They retail at AED175 which I think is a good price point, well certainly compared to likes of Mr. Ford. You will probably notice that I wear these shoes a lot (I know) but it just emphasizes what a great purchase they were. I wish I could afford to have a wardrobe full of designer accessories, but the reality is I do not have the disposable income to do that, so I pick classic styles in neutral shades so I can get a lot of wear out of them and hopefully still look chic. Reiss' offering for Spring Summer 2014 was pretty impressive (standard). Its classic interpretation of the catwalk trends stayed true to the brand and aligned with what us customers want, traditional timeless fashion. Reiss is one of my favourite brands simply because it is simple, and i think simplicity is the number one rule for a chic and elegant look. 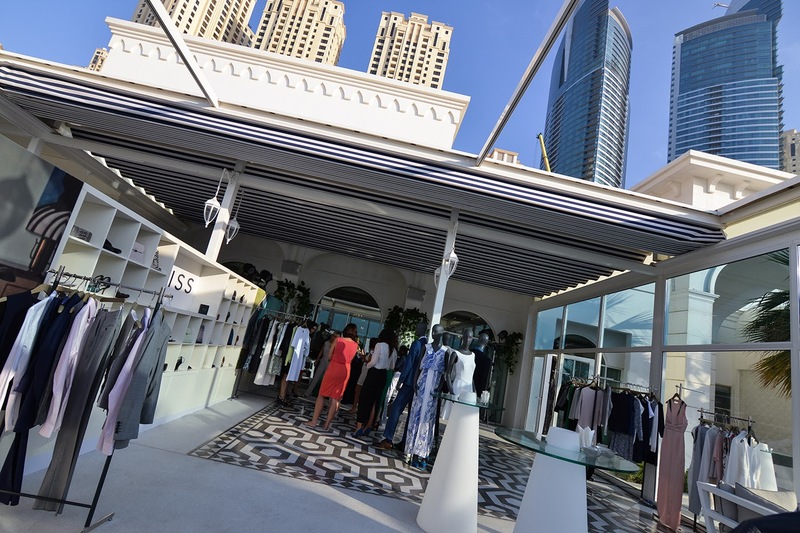 Reiss have developed a bespoke line of dresses for the Middle East market which you can only buy in Reiss stores in the UAE, Saudi Arabia and Kuwait. This is because the product needs to appeal to a more culturally sensitive customer who prefers a longer cut and lighter weight fabric to cope with the heat. This is a great thing for the brand to do as adapting your product for an international market is something not many retailers are doing. This is naturally great for us Dubai ladies as we get to shop limited edition product and UK followers can purchase these online. The Middle East exclusive pieces were stunning. My favourite was a white and blue maxi dress with a hand drawn print on the fabric (below). It had two layers with a cropped top and a small split that ran up the front of the centre of the dress, the material was a beautiful silk, perfect for the day at the Races or the Polo I think. P.S I'm not sure if you noticed in my intro to this post that I coyly mentioned I got to interview David Reiss! This was way to exciting to include in a outfit of the day post so stay tuned and I will be posting the behind the scenes pics and interview video soon!